The above was one of the many doubts expressed by Mother Teresa in her letters and private journal. The Church and Mother Teresa kept these writings under wraps until 2007, a decade after her death. They might have been uncomfortable about their doubts about God, perhaps you are too, but God isn’t. Doubting isn’t bad, it only means you’ve experienced the mess of life and have started to think about it. Doubting isn’t bad, not following it through is. Lean lightly on your doubt and you’ll only sink in and get stuck. 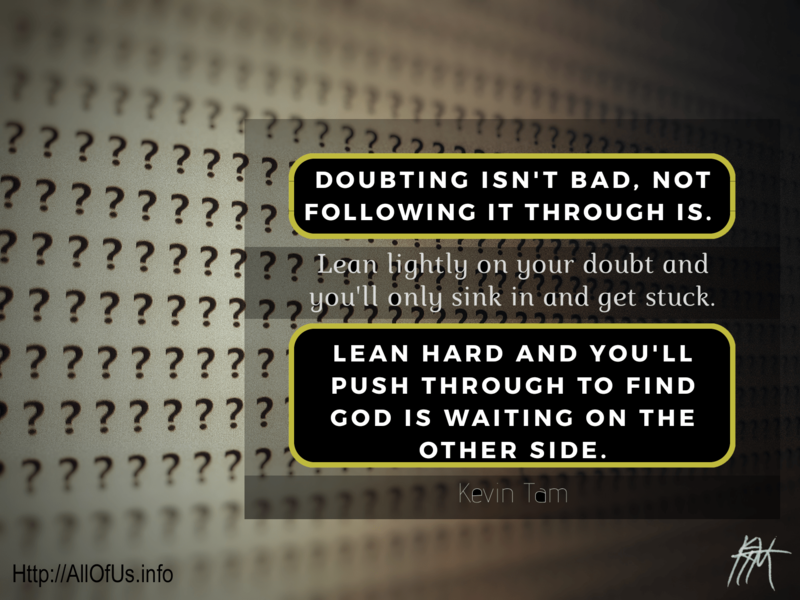 Lean hard and you’ll push through to find God is waiting on the other side.